Tour Inclusions: guide service, private transportation, taxes, toll, parking, cost of tastings. Departure Points: Normandy departure points available. Paris departure point also available. Inquire. 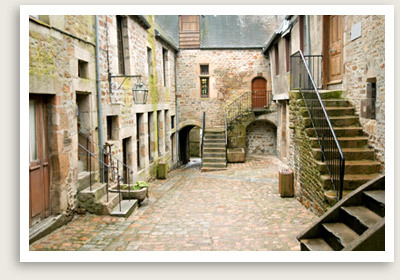 Customize this tour from Normandy to the Calvados Villages and include your preferred villages or activities. Inquire. Your private Normandy tour from Paris to Calvados takes you to Normandy’s charming villages which produces delectable cheeses, cider and the apple brandy called Calvados. The last stop of your Normandy tour from Paris to Calvados will be to Liverot, a cheese- and brandy-making village famous for its namesake cheese. The soft, pungent cheese is nicknamed the Colonel as it has five stripes around it. See a cheese-making demonstration and taste some of the cheeses after.